The first full-time job I was offered after finishing my degree was to work in an office of the multinational white goods company Electrolux, who own brands such as AEG and Zanussi. Although the job was initially based in an office in Northumbria, an offer was soon made for me to move out to the then international design headquarters that was based in the old Zanussi factory in Pordenone, northern Italy. In early 2003 I moved out there and took the role of an interaction designer working in a multidisciplinary team that included engineers, product designers, graphic designers and more. 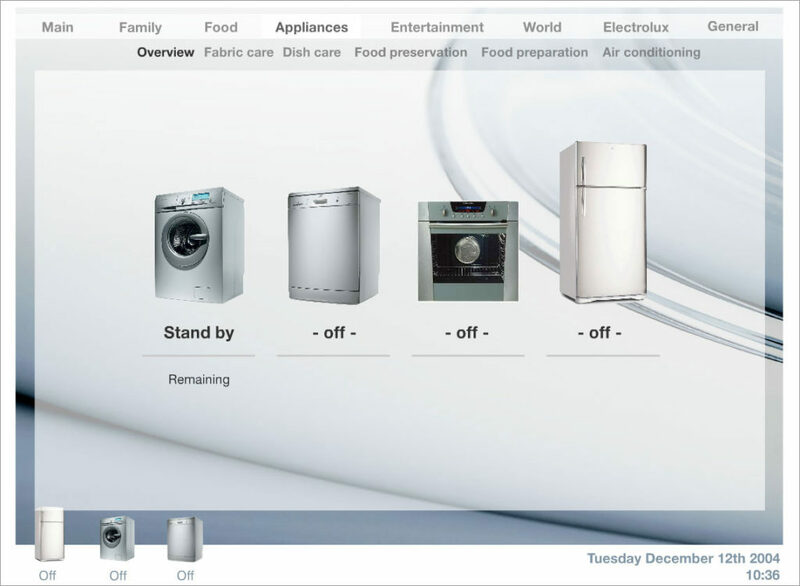 Initially I was tasked with creating interactive prototypes for a whole range of appliance interfaces that I mostly created in Adobe Flash at the time. As time went on I was also asked to be involved in other types of work, including UI and animation concepts for touch-screen interfaces, connected home projects and presentations for upper management. It was a really excellent first job and gave me a lot of valuable experience in designing product interfaces and working with larger teams and with colleagues from all over the world. 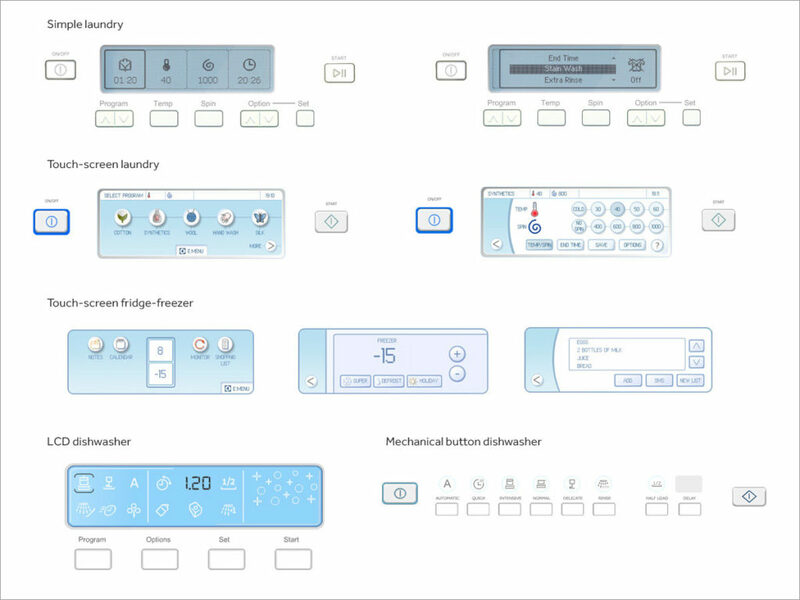 Just a few of the appliance interfaces I worked on whilst at Electrolux, ranging from mechanical button dishwashers to full colour touch-screen washing machines. I created interactive prototypes for each one and worked with the product and graphic designers to finalise the designs. 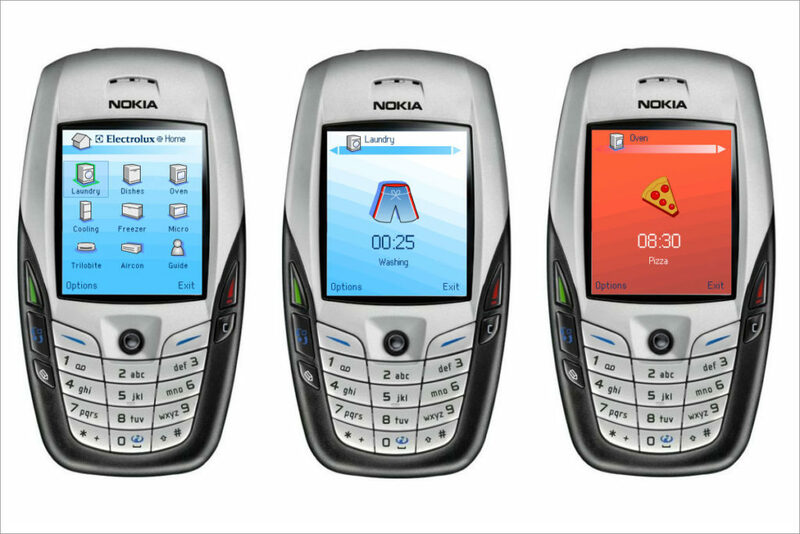 Whilst at Electrolux I was asked to work on a joint project with Nokia to design an application that would interface with Electrolux appliances. As well as controlling things like washing machines and dishwashers, there was also an idea to be able to direct Electrolux’s automatic floor cleaner the Trilobite. One of the key projects I worked on whilst at Electrolux was a connected home interface, which was a concept that was very popular at the beginning of the new millennium with Microsoft, LG and others all presenting concepts in the same area. 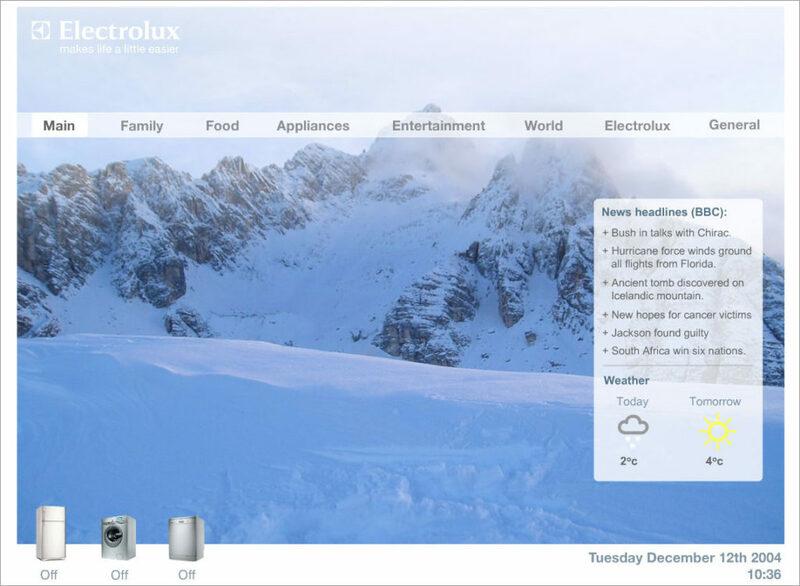 The Electrolux project revolved around a touch-screen interface that would be used to control appliances remotely, but would also feature other family-oriented applications such as joint calendars, recipes and entertainment apps. There would also be links to Electrolux support resources. This was a version of the appliance control screen and the team actually had the remote control aspects of the system actually fully working. 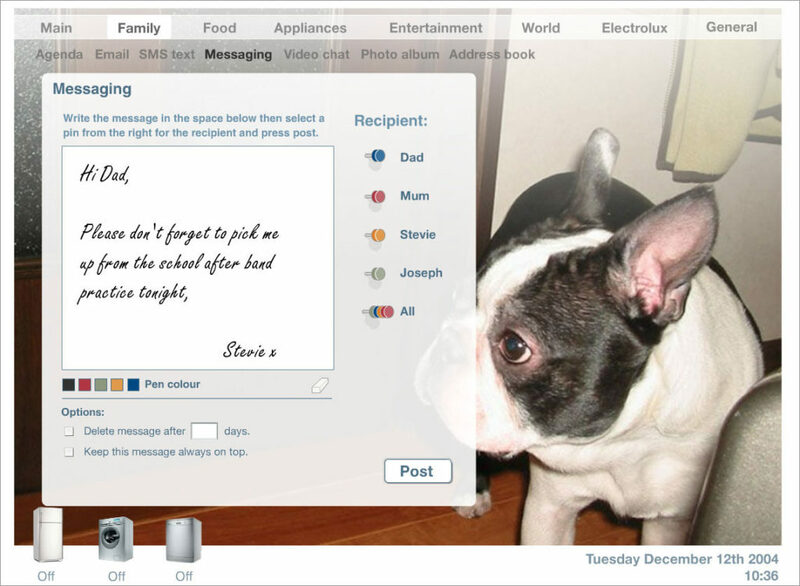 One of the ideas for the family aspects of the concept was to allow people to leave messages for each other, written on the touch screen and ‘pinned’ to the notes section.